Two years ago, I received an email out of the blue from a woman inviting me to attend the Salon du Fromage. I was part of a special group of eight people — all bloggers, of which only I and one other woman were dedicated to cheese — to receive a press pass. 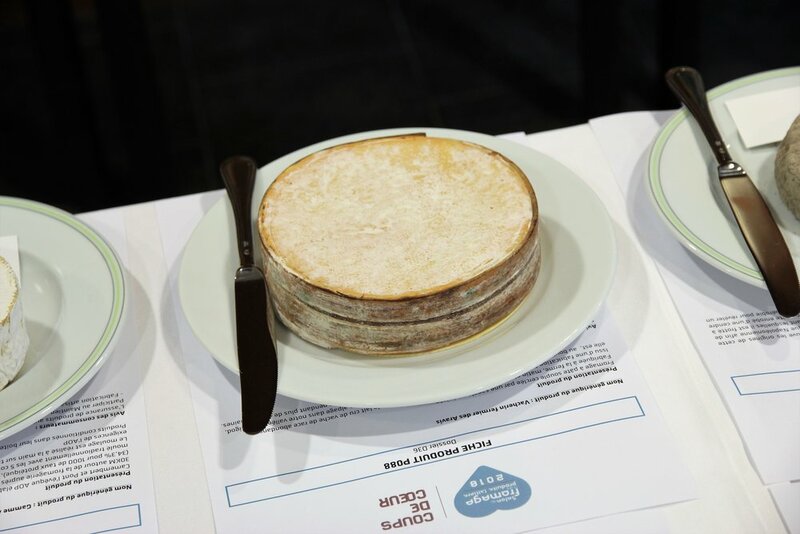 We would receive a special tour around the exposition hall to meet several producers as well as the leaders of the Fédération des Fromagers de France. Now remember, I am not a shy guy. But this was only my second ever cheese show and this was not just some random carnival with churros and rides for the kids. This was the Salon du Fromage. People do real business there. And here I was, an American, being led around the show like some dignitary when I felt more like a dilettante. Bon, ça a été ! as we say in French. Things worked out. I had an amazing time that led to a radio interview, a story in Le Parisien, and a desire on my part to get serious about my knowledge. Two years later, I was delighted to hear from Cécilia, who is still doing the marketing for the Salon du Fromage, this time inviting me to be a member of the jury that would decide the Coups de Coeur, the best cheeses that exhibitors would be featuring. How could I possibly say no! December 8th came and I took the bus to the Lycée des Métiers de l’Hôtellerie Belliard, a restaurant training school in the 18th arrondissement. I will never forget the giddiness I felt entering the room. Laid out on three long tables, each around five meters long, were plates upon plates of cheese. Round cheese, square cheese, big cheese, little cheese, hard cheese, soft cheese, blue cheese, orange cheese, cheese with fruit and flowers and truffles, cheese from France and Italy and Spain and England and all over. I was warmly greeted by Cecilia and Isabelle and then made my way to say hello to Alain Dubois, the President of the Salon who I had met two years prior. I met Manu, with whom I had exchanged messages via Facebook. I met Xavier Thuret, another Meilleur Ouvrier de France (and a magnificent guy). I met a few other jurors as well. Once everyone had arrived and introductions were made, we received our instructions. 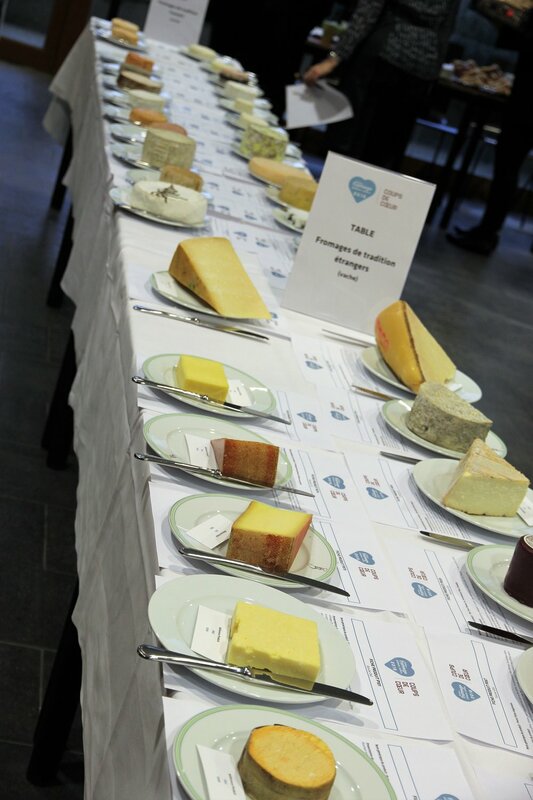 We would be divided into groups of 3-4 and given one or two categories of cheeses to judge. There would be around 12-16 cheeses each group would taste. 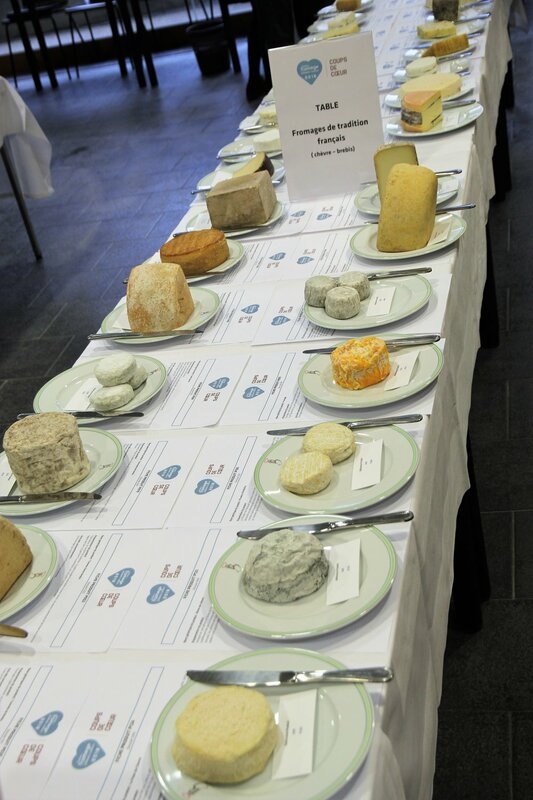 I was part of the group judging sheep and goat cheeses in two categories: French and foreign. Altogether we had sixteen cheeses to taste. I wish I could say that our tasting was just one fantastic cheese after another, each propelling us to new heights of flavor and joy. Frankly, it was rather the opposite. The cheeses were fine. None was awful, but very few stood out. Two of the sheep’s cheeses from the South of France were good, but no better than that. Two of the goat’s cheeses were simple and inoffensive, but that was about all we could say. If I was in heaven at the beginning of the day, after ninety minutes of eating cheese I was ready to cut my stomach open. You reach a point in cheese tasting where no amount of bread or water or apples will clean your taste buds. They are dead. Everything tastes like salty Play-Doh. There were multiple high points for me during the day. One, naturally, was being able to taste all the cheeses. Even if there were few stars, it was a remarkable day where I learned a lot and I was grateful for the experience. 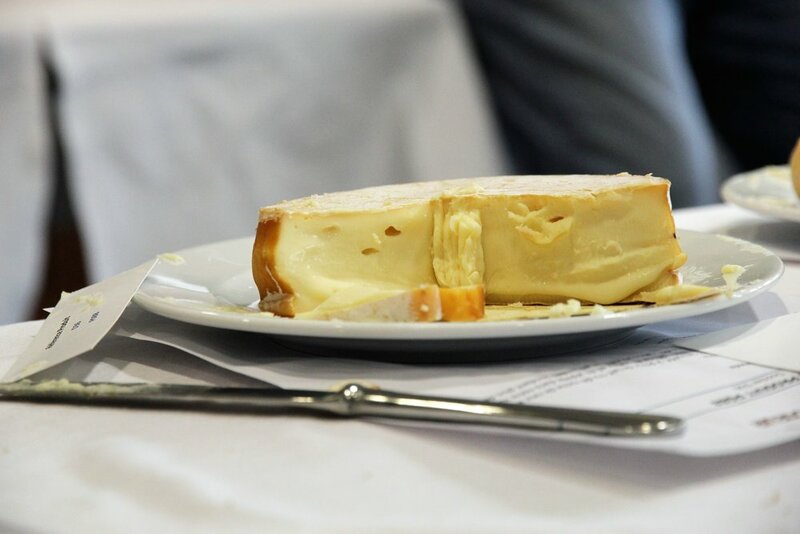 A before shot of one of the winners: a really excellent Vacherin Fribourgeois. The wood band (spruce) imparts a subtle woody, almost smoky flavor. The same cheese, after it's been manhandled by 20 people. A perfectly balanced Munster with its many hearts (coeurs). I didn't try it until the end of the day when my taste buds were already shot, but on the Press Day I was able to enjoy it. Another was being able to speak at length with Xavier Thuret, whom I sat next to during lunch. Apart from being a Meilleur Ouvrier de France with a fascinating backstory, he has started an interesting business. 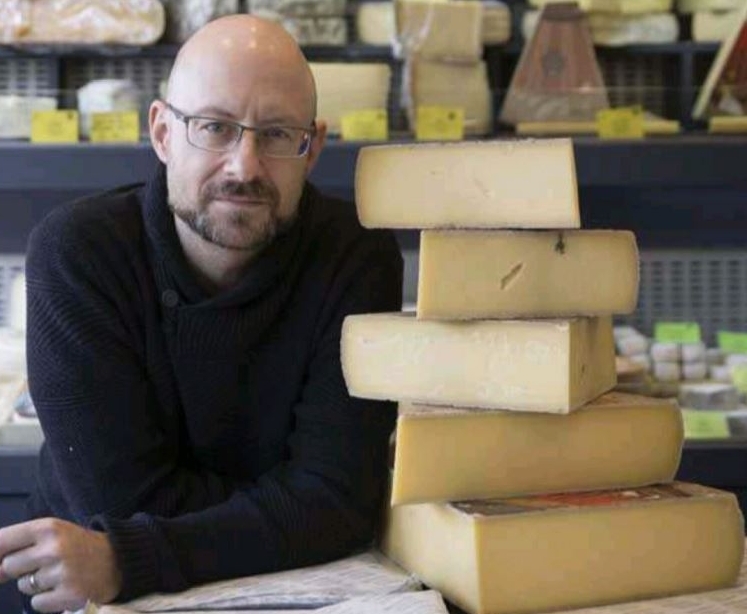 His goal is to bring excellent cheeses from small artisanal producers to tables of Parisian restaurants. This is surely the Lord’s Work, as there is a shockingly low standard of cheese even at some of the more renowned brasseries and bistrots. Third was meeting Camille (of iconocheese fame) and seeing Claire (the famous Clairette!) again. We were also together at lunch and walked to the train after the day was over. They are enormously pleasant to be around. 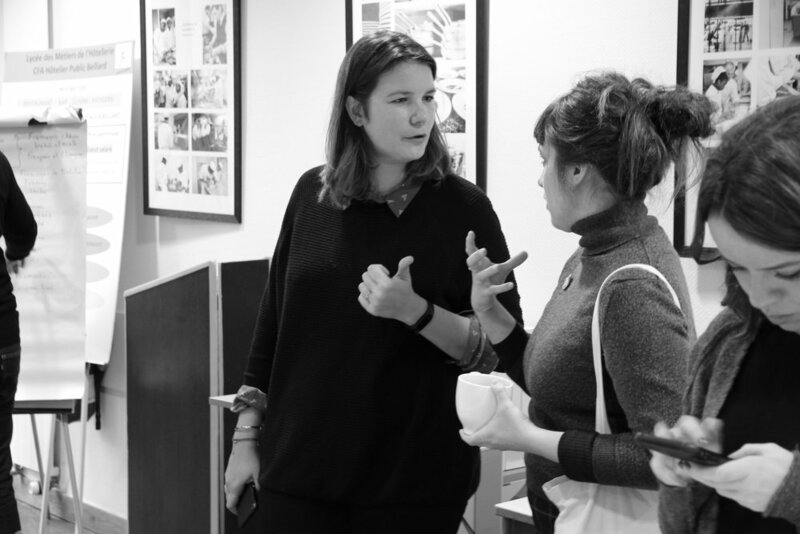 Next blog post: Press Day for the winners, and much better pictures!